Don't let anyone be late on Sunday! 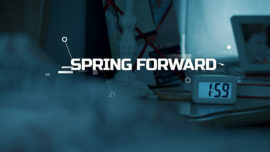 Use one of these videos to reminder your church that Spring Forward is coming! 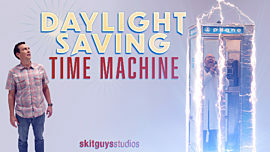 What could possibly go wrong with a homemade time machine designed to help Eddie beat Daylight Saving Time and avoid losing an hour of sleep? 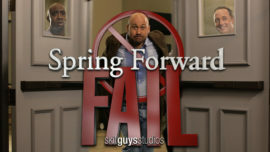 This lighthearted video is a fun way to remind your congregation to spring ahead. Be informed and educated, Nation. This PSA (Public Service Announcement) is meant to ensure a smooth transition from Standard Time to Daylight Saving Time. Make it a priority to watch this and be prepared. Stay strong Arizona. Jim and Joweena Sanders are at it again. This time, their mission is to make sure their neighbor doesn't oversleep come Daylight Savings. And to ensure that, they bring a gift in the form of the "Jesus Saves You Time 3000", an alarm clock designed with taste and functionality thrown to the wind. Watch what happens when the Sanders' best laid plans go awry in a loud and messy way. Encourage your community to exercise whatever means necessary to get their families to church on the Sunday when Daylight Savings Time begins. 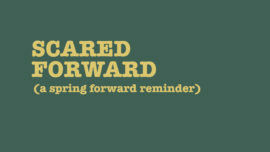 This humorous video will serve as a reminder to Spring Forward… so that you don’t have to be Scared Forward! You thought it was mom and dad’s job to turn the clocks ahead every spring … but Jimmy knows better! Find out what happens when he leaves prune juice and cookies out for the Time Change Troll. This is a hilarious way to remind your congregation about Daylight Saving Time! This is the hilarious and riveting Spring Forward reminder spoof trailer you didn’t know you needed! Created in the style of a thriller movie trailer, this mini-movie puts into words what every church-goer secretly questions about Spring Forward. You have to see it! Probably even twice! Works great with the Spring Forward Cinemagraph too! 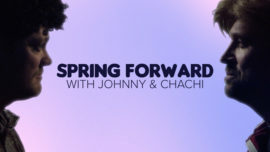 Johnny & Chachi are back to help you remind your church to "spring forward." Show this video the Sunday before the beginning of Daylight Saving Time to remind people they're losing an hour of sleep the following week. 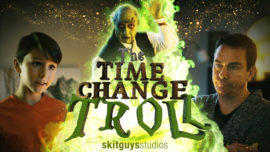 Just when you thought it was safe to set your clock ahead an hour! 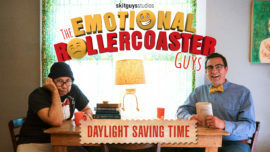 As these friends debate the pros and cons of Daylight Saving Time, you might decide to move to Arizona to avoid springing ahead!